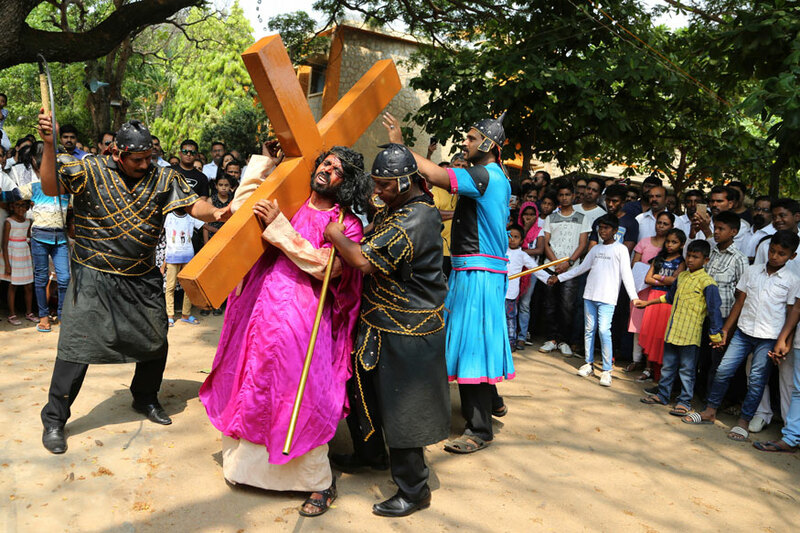 Christian devotees reenact the crucifixion of Jesus Christ to mark Good Friday in Bangalore. 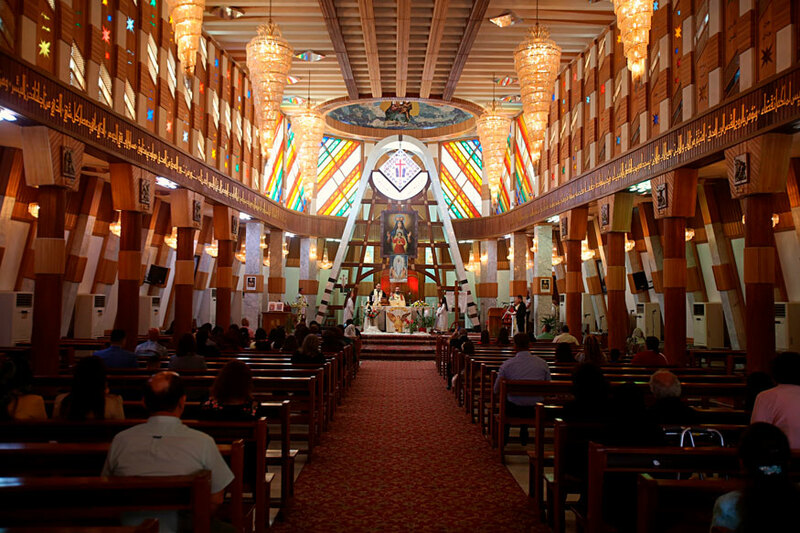 Iraqi Christians attend Easter Mass at Our Lady of Salvation Church, in Baghdad, Iraq. 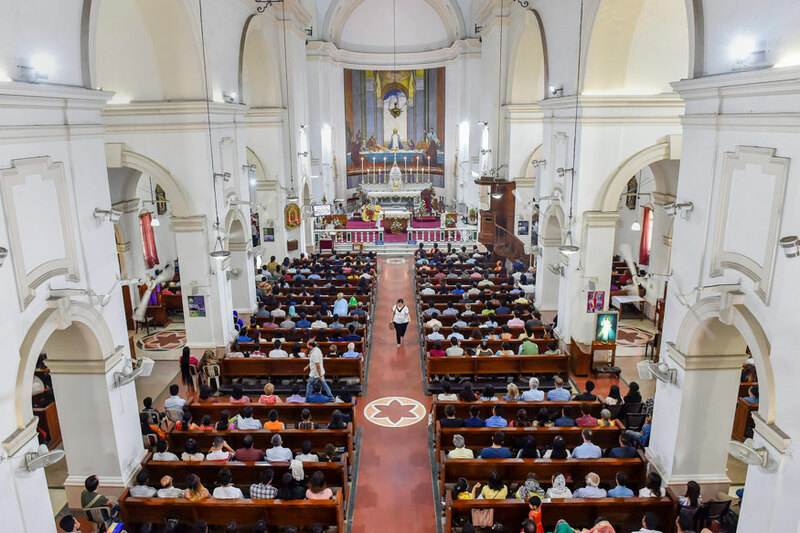 People attend a mass at Sacred Heart Cathedral Church on the occasion of Easter in New Delhi. 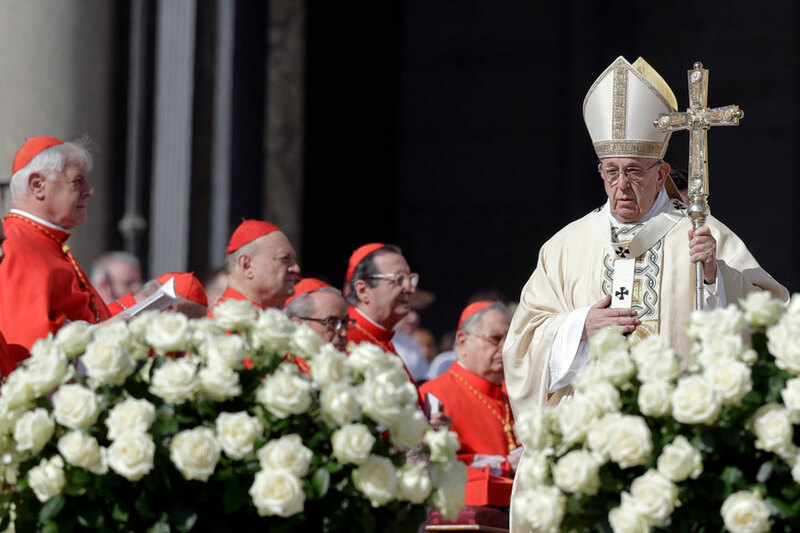 Pope Francis arrives to celebrate an Easter mass, in St. Peter's square at the Vatican. 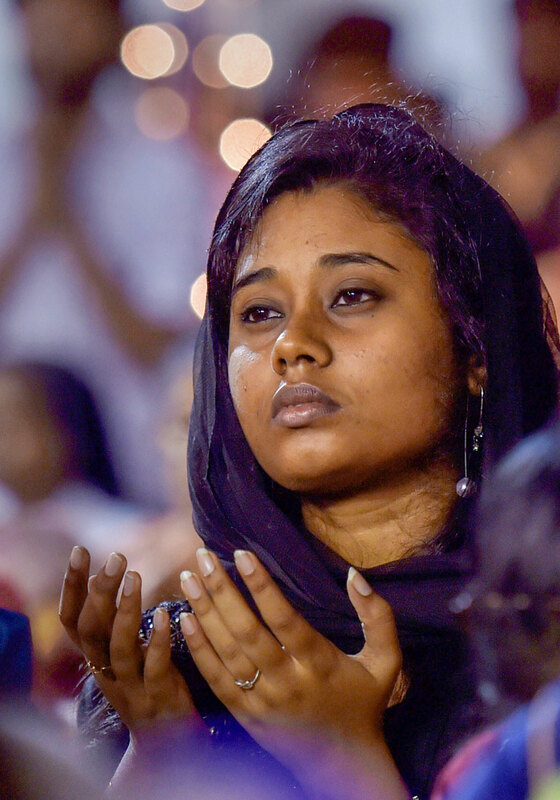 A devotee offers prayers on the occasion of Easter at the Santhome church in Chennai. 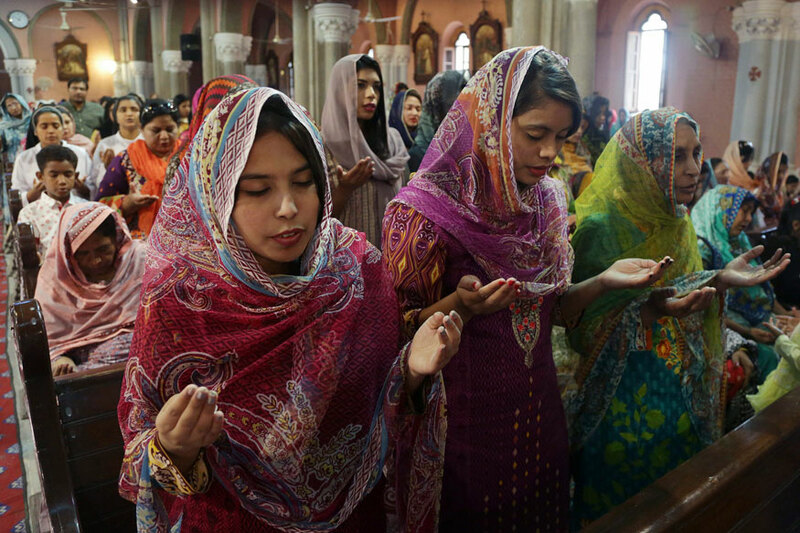 Pakistani Christians attend Easter service at Sacred Heart Cathedral, in Lahore, Pakistan. 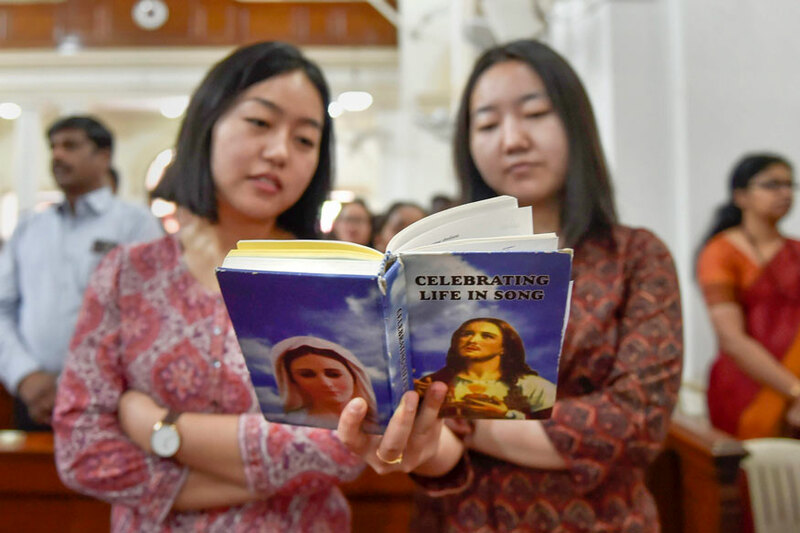 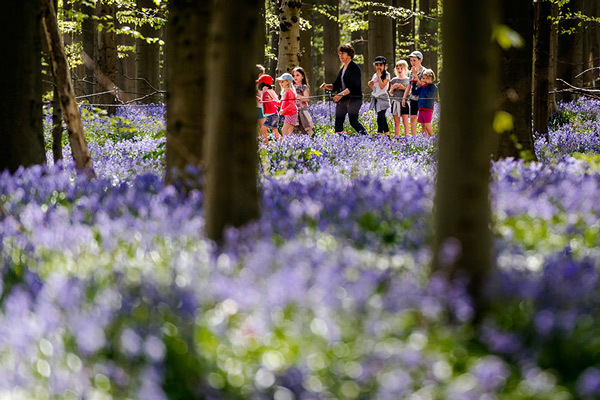 Britain's Prince William and Kate, Duchess of Cambridge, leave the annual Easter Sunday service at St George's Chapel at Windsor Castle in Windsor, England. 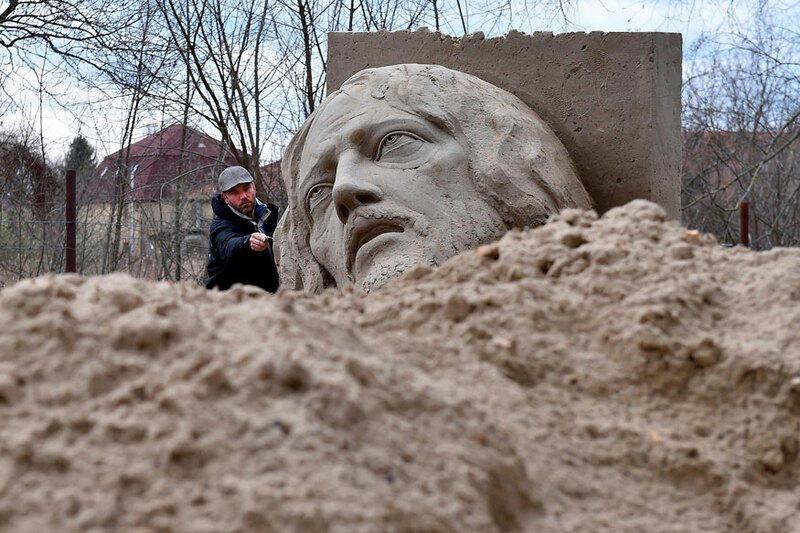 Hungarian sculptor Ferenc Monostori puts the finishing touches to his sand sculpture depicting Jesus Christ in Tinnye, Hungary. 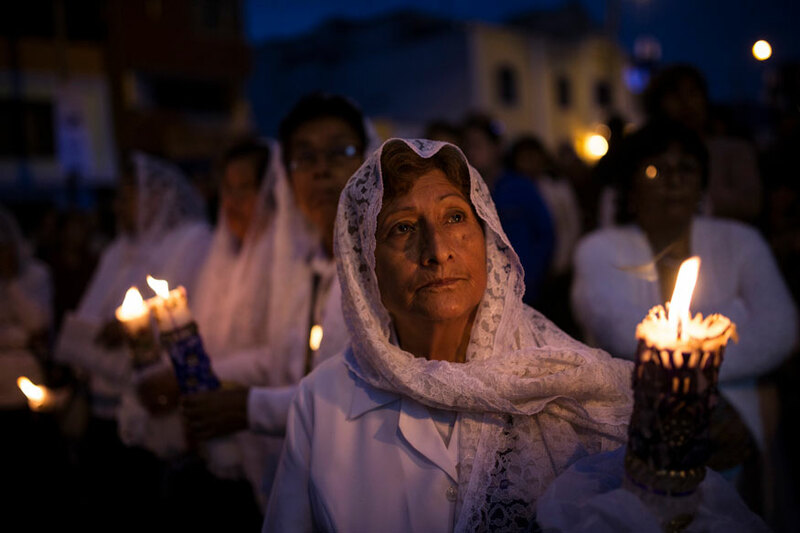 Faithful gather holding candles while taking part in a Holy Week procession in Lima, Peru. 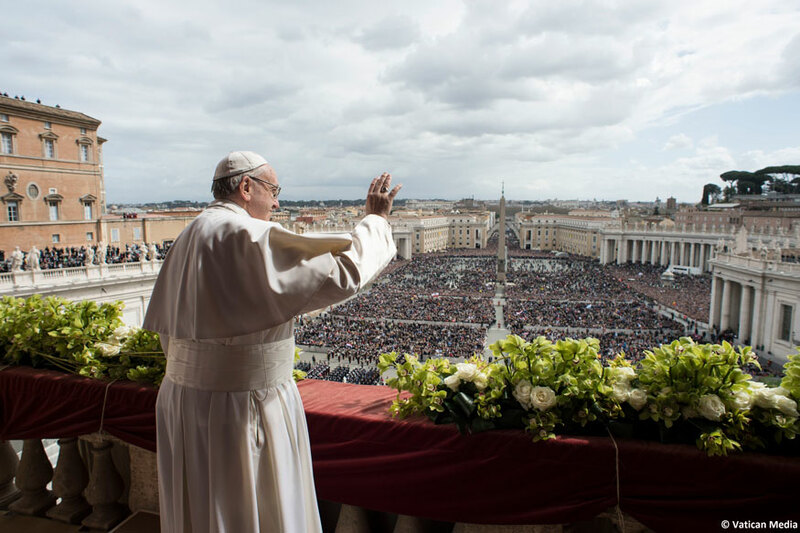 Pope Francis delivers the Urbi et Orbi (to the city and to the world) blessing at the end of the Easter Sunday Mass in St. Peter's Square at the Vatican. 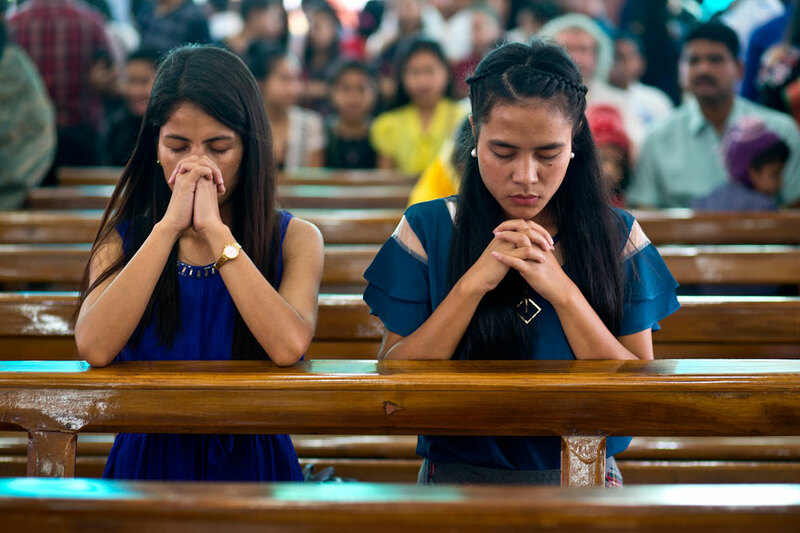 Indian Christians pray during Easter at a Church in Gauhati. 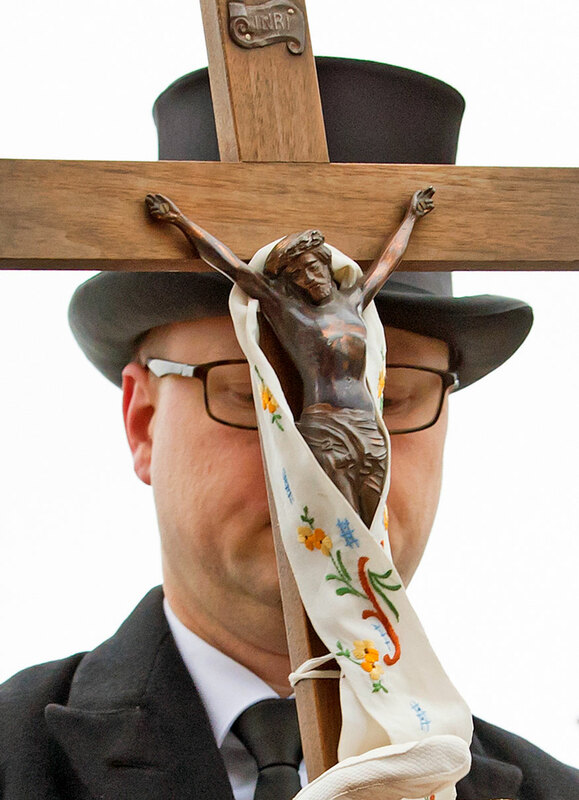 David Statnik holds a crucifix at the beginning of the Easter riders procession in Ralbitz, eastern Germany. 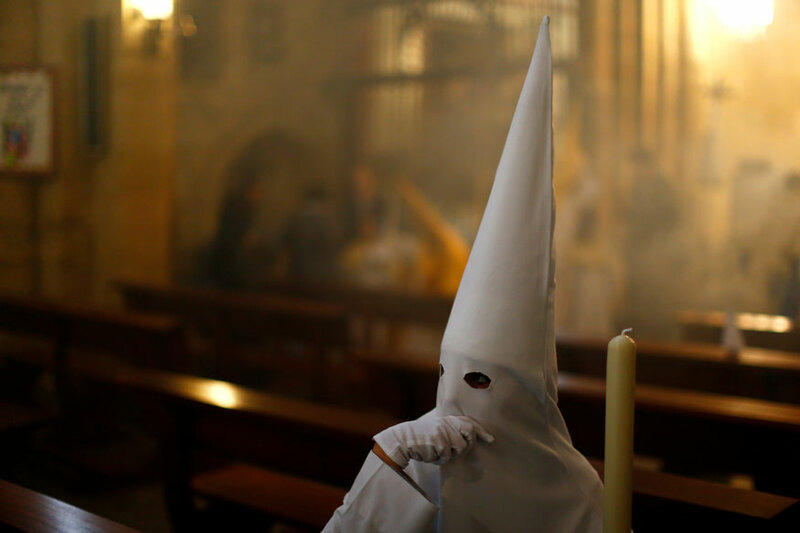 A hooded penitent from the "El Resucitado" brotherhood takes part in a Holy Week procession in Cordoba, southern Spain. 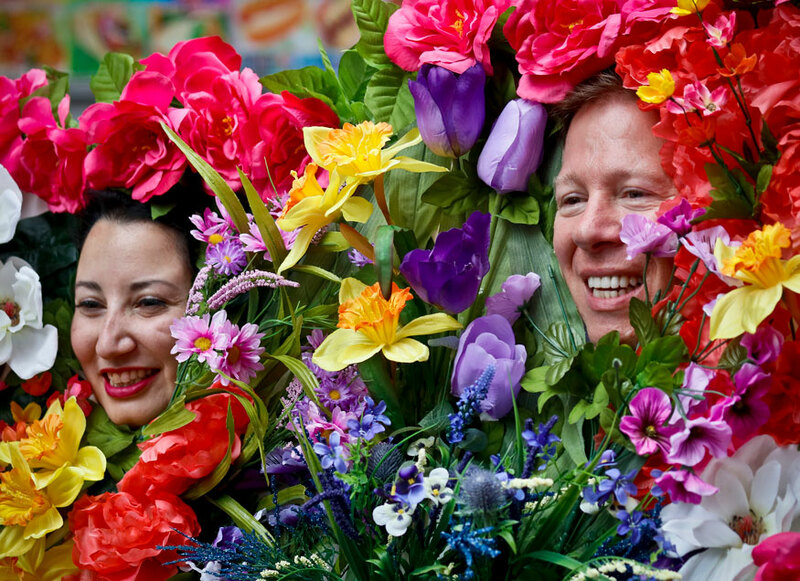 Jane Pastrana and Tom Nicknel attend Easter celebrations along Fifth Avenue in New York. 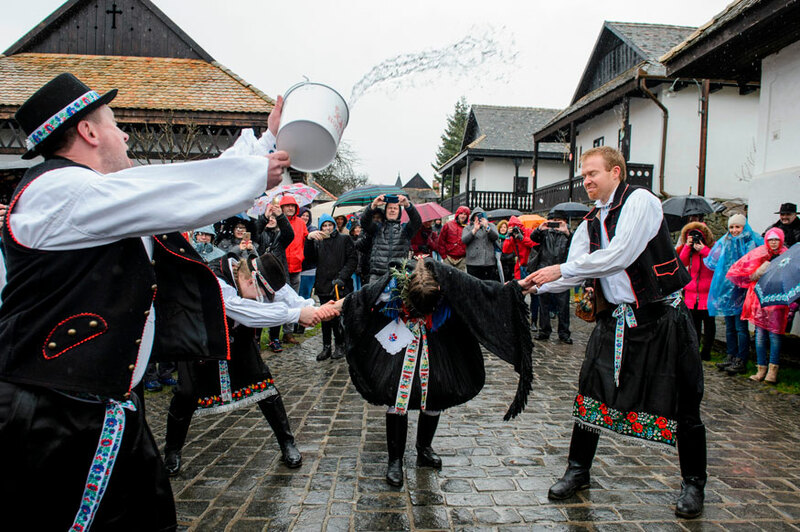 Dressed in folk costumes, young men pour water on young women in Holloko, a mountain village enlisted on the World Heritage List of Unesco in Hungary.